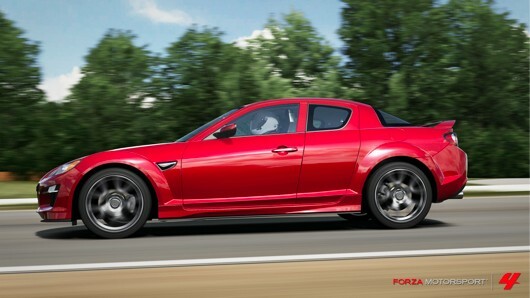 Last month's delivery of DLC vehicles to Forza 4 may not have been enough for you. It was lacking something, perhaps? A certain whiff of editorial sponsorship? This month's pack should have you more than covered, with gaming site IGN teaming up with game developer Turn 10 and publisher Microsoft to release the "December IGN pack." Suddenly "November Speed Pack" sounds much more exciting than it did last month, eh? Like November's DLC pack, this month's will come with 10 cars from across the automotive spectrum, from a modded, modern Mazda RX-8, to a not-so-modded (or modern) Alfa Romeo Spider Quadrifoglio Verde. We'll let you guess which one of those goes faster! Also like November's pack, this one is gratis should you already own the game's $30 "Season Pass," or 560 MS Points ($7) otherwise. Head past the break for a full list of the cars. Forza 4's next DLC features 10 new cars for $7, arrives on Dec. 6 originally appeared on Joystiq on Wed, 30 Nov 2011 18:00:00 EST. Please see our terms for use of feeds. Capcom just announced a Sour Patch Kids tie-in game for PSN, XBLA, and PC. You know, Sour Patch Kids. The candy. World Gone Sour is the adventure of a lost Sour Patch Kid running and jumping its way from a movie theater's sticky, filthy floor, past the concession stand, and out into the world as it seeks its home in a candy lover's stomach. Yes, this is a game in which the goal -- the ideal situation -- is a person accidentally ingesting candy that's been on the floor of a movie theater. 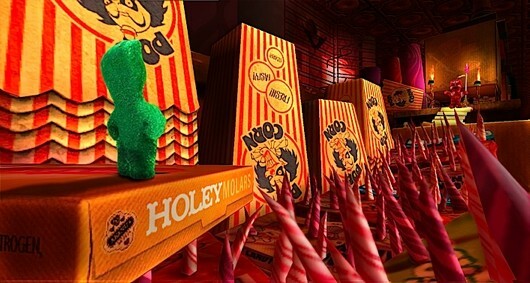 This is a game concept that Sour Patch marketing believed would increase the appeal of the candy. That's what is happening here. But wait! Your $4.99 doesn't just get you a protracted, off-putting Sour Patch ad. World Gone Sour also includes that new Method Man jam, "World Gone Sour (The Lost Kids)," and Creed Bratton, whom you know as Creed from The Office, narrating your heroic journey. We suppose it's only appropriate that a licensed game based on candy would come from the developer of Yo! Noid and The California Raisins. Capcom, Method Man, and Creed from The Office unite to bring you a Sour Patch Kids game originally appeared on Joystiq on Wed, 30 Nov 2011 13:30:00 EST. Please see our terms for use of feeds. Kotaku cites an anonymous "insider" on two new rumors regarding two of Electronic Arts' biggest "new" franchises: Dead Space and Dragon Age. Though Dead Space 2 managed to ship over two million units in its first six months of release, EA wants to "make the series bigger and better," says the insider. The plan: A Dead Space first-person shooter, a Dead Space "flight game" and, lastly, a Dead Space "Uncharted-like game." Apparently, that recent EA management shift in August "brought in new brass that nearly killed off Dead Space 3," if this insider is to be believed. But it's not dead and, as previous rumors suggested, Dead Space 3 takes place on ice planet Tau Volantis and will feature co-op. Now for Dragon Age ... this one is good. Kotaku's insider says that, like BioWare's other major RPG brand, Dragon Age will get a multiplayer offering, reportedly powered by DICE's Frostbite 2 engine. This could be part of a future Dragon Age installment, let's call it Dragon Age 3, or a separate downloadable title; the gameplay will be arena-based, and feature both PvE and PvP combat, as well as ... dragons. Because Dragon Age, and all that. Here's our advice, EA: If you want to increase awareness of the Dead Space brand, making games that aren't like Dead Space seems like a poor strategy. Also, a flight game? Are you trying not to sell games? And the problem with Dragon Age isn't a lack of multiplayer. The (extraordinarily) fast turnaround on Dragon Age 2 resulted in a rushed RPG that was dwarfed (and, frankly, embarrassed) by productions like The Witcher 2 and Skyrim (which managed to ship a not-so-shabby seven million units at launch). 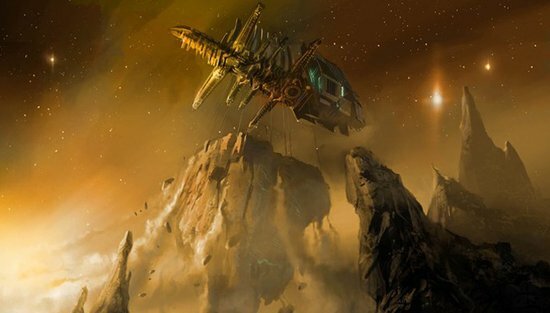 Rumors: Dead Space expands into FPS and flight, Dragon Age goes multiplayer originally appeared on Joystiq on Wed, 30 Nov 2011 12:30:00 EST. Please see our terms for use of feeds. A segment of the Mass Effect story set in the Citadel, originally planned for Mass Effect 2, is finally being made for inclusion in Mass Effect 3, lead writer Mac Walters told OXM. "There was a Mass Effect 2 plot that was a kind of callback to the first Mass Effect that was going to be on the Citadel, and we cut it," he said. "But now it's made a resurrection in Mass Effect 3, so I'm happy, but I can't say what it is." That's right. Content that was conceived for the second game, and refers to the first game, is now in the third. And speaking of things that have been around since the first game, Walters acknowledged the difficulty of continuing the Mass Effect story after the second game's ending, which can kill off important characters. "The classic example [of a hurdle faced in writing ME3] is 'Hey, let's make the ending of Mass Effect 2 a suicide mission where all your henchmen can possibly die, and Shepard can even die!'" Walters said. "Oh right... and then we're gonna do another game after that. What the hell are we gonna do with all those guys?" Unfortunately, Walters didn't go on from there. We're going to have to wait until March to find out just what the hell does happen to all those guys. 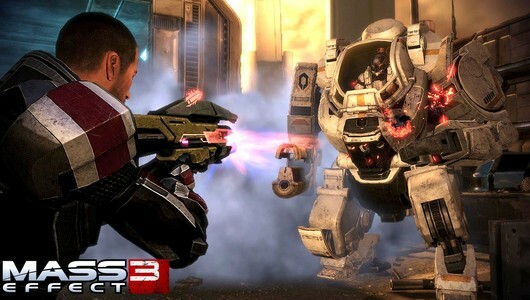 Citadel sequence cut from Mass Effect 2 returns in Mass Effect 3 originally appeared on Joystiq on Wed, 30 Nov 2011 12:00:00 EST. Please see our terms for use of feeds. Skyrim's 1.2 update rolled out yesterday on PS3 (and should be on Xbox 360 and PC sometime today), and the word from the front is that things aren't going well. The frequently reported PS3 framerate issue is apparently still a problem, but now there's a whole laundry list of new and old bugs at the party. The new issues include amusing things like dragons flying backwards, and decidedly non-funny Bethesda bugs like the game becoming unable to recognize magic resistance. We've contacted Bethesda for official word on the issue. In the meantime, as has become fairly routine with a Bethesda RPG patch, consider avoiding it if you're happy with how things are running at the moment. 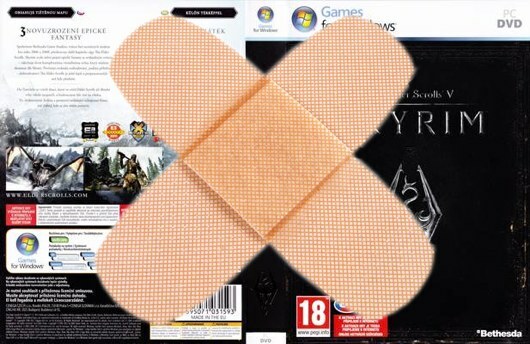 Users reporting issues with Skyrim 1.2 patch originally appeared on Joystiq on Wed, 30 Nov 2011 11:30:00 EST. Please see our terms for use of feeds. In the month of November, EA moved another 3 million copies of Battlefield 3. At least, that's according to numbers revealed yesterday by EA CFO Eric Brown at the Baird Technology Conference in San Francisco (as reported by Game Informer), which has the game selling 8 million units in total across all its platforms out of 12 million shipped. As with most major game launches, both the shipped and sold amounts of the game have dropped significantly since launch, with two million being pushed to retail from EA in the month of November versus 10 million during the first week. The game's first big expansion -- "Back to Karkand" -- is set to be released some time in December, with PS3 owners getting a crack at it one week early. 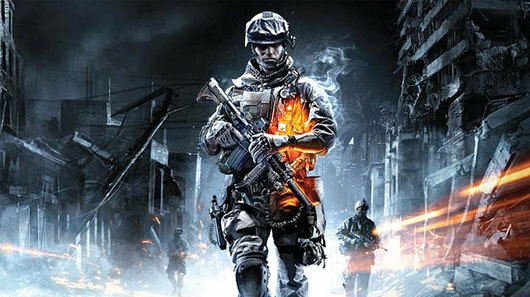 Battlefield 3 sells through 8 million of 12 million total shipped originally appeared on Joystiq on Wed, 30 Nov 2011 10:30:00 EST. Please see our terms for use of feeds. Apparently we haven't been paying nearly as much attention to the dialogue in Skyrim as we should have. We thought it was all about shouting at dragons, putting baskets on heads, and sneaking around in the dark. Turns out it's much more about ****ing, ****ing, and ****ing ****s with *****es. ****ing dragons, man. 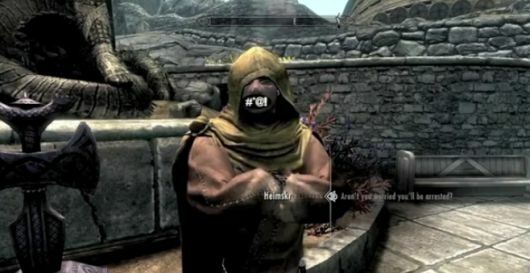 Skyrim dialogue gets salty when unnecessarily censored originally appeared on Joystiq on Wed, 30 Nov 2011 09:30:00 EST. Please see our terms for use of feeds. If you've got the patience to stick with Rocksmith's guided tutorials, you could know the guitar parts of three new songs by the weekend. The real guitar-utilizing game will have its DLC library expanded with a trio of tracks this week: "Cousins" by Vampire Weekend, "20th Century Boy" by T. Rex and "I Hate Everything About You" by Three Days Grace. We can confirm that the first two, at least, are great songs, and that the third might just be the angriest song ever recorded by a human being. Each track will run shoppers 240 Microsoft Points ($2.99 on PSN), but the ability to impress all the ladies and dudes on the quad with the preposterously frantic rhythm portion of "Cousins" is absolutely priceless. 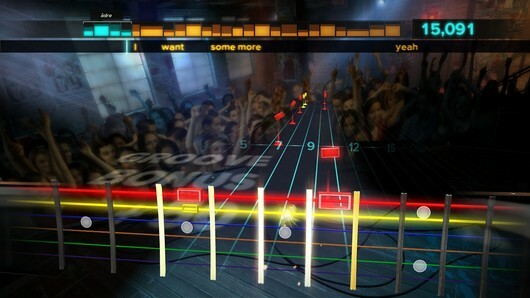 Rocksmith DLC adds Vampire Weekend, T. Rex, Three Days Grace originally appeared on Joystiq on Wed, 30 Nov 2011 07:00:00 EST. Please see our terms for use of feeds.